The compact SUV segment is soon to witness the first ever car launch, Renault Duster which happens in early July 2012, and the excitement has already begun building. The Duster will be the very first car to enter this untapped segment and we are expecting some killing price. Not only that, after Duster, Ford EcoSport will also step into the same segment and surely the competition will rise. Obviously existing vehicles belonging to the SUV and MPV segment are concerned about the same and as Duster’s launch is coming closer and closer, other manufacturers are planning to promote their products even more strategically. Now that the launch is around the corner, it is being said Tata Motors may cut prices of its popular and successful Tata Safari (old version) in order to make it more competitive with the Duster. Another purpose that will get solved by this price cut is that its younger and more expensive sibling, Tata Safari Storme’s pricing will be justified. 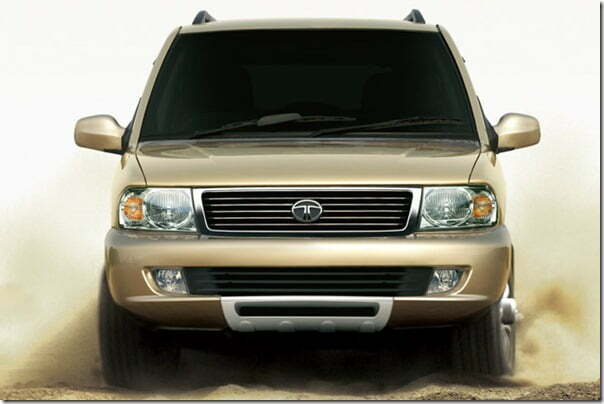 According to the news Tata is planning to reposition the old Tata safari. It will discontinue the top two premium variants and will reposition the base LX variant. As far as the pricing is concerned, a good amount probably between Rs.80,000 to Rs. 1 lakh can be cut from the current prices. This means that the LX variant will get a price tag of Rs. 7.5 lakhs putting it in direct competition with Duster which will most probably start at Rs. 7.2 lakhs. The top end variants VX and GX will be knocked off and this will make Safari Storme’s position even more comfortable as there will be no competition from its own twin. Moreover the price cut will be very advantageous for Safari as it is actually a better car in terms of engine and space and if priced right, it could give Duster a run for its money. Safari’s engine is more powerful and it can accommodate 7 people at once, as against 5 in Duster. It is expected, Tata will offer appreciable features such as ABS, power steering, music system, power mirrors and more, with Tata Safari. But in spite of all there features, Duster will still be ahead with dual airbags working in its favour. Soon after Duster’s launch we could see Mahindra & Mahindra reacting in a similar manner but as of now let us wait and watch how the Indian SUV market changes when Duster officially steps into India.